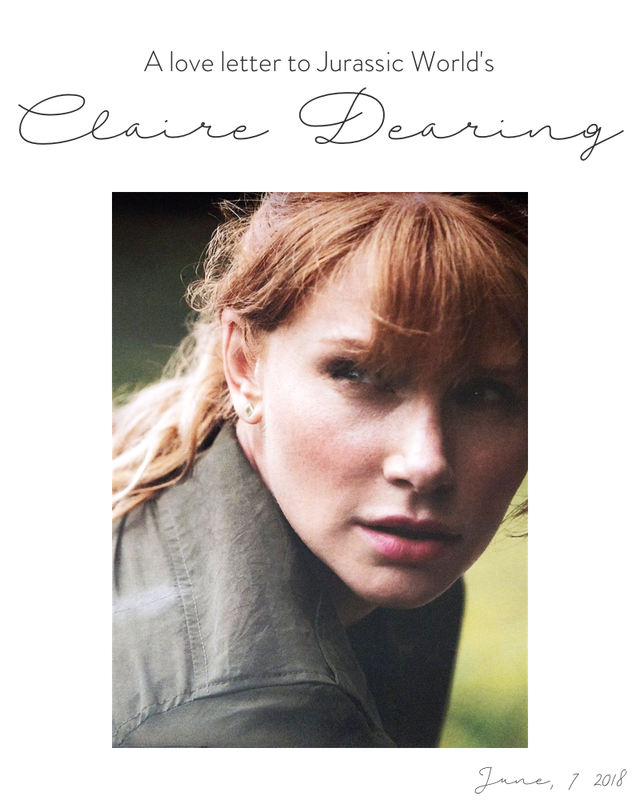 A Love Letter to Jurassic World's Claire Dearing. I am not the most confident person, and I love films. Never had I ever thought those two facts about me actually had anything to do with each other, until I saw you in Jurassic World. It was the very first time I ever felt represented body type-wise, in the kinds of films that I like most and secretly still dream about being a part of. Sure, that acting dream has long since been put away and gotten over, but apparently, there was still this small, dormant part of me that thought I wouldn't have belonged anyway. I wouldn't have belonged to the vast majority that fit into that beauty standard they said was passé but is actually still going strong, and I wouldn't have belonged among the inspiring queens they still call 'plus size' for some reason. I am an inbetweener, and I had never seen one of those in an action/adventure/sci-fi film until you. You are not a sidekick. You're the leading lady. You don't struggle while doing those awesome running scenes, you keep up. Heck, you lead. In frickin' heels in the first one, and in badass boots in Fallen Kingdom. You're not that girl who needs to be saved by the man all the time. You save the man. You get the man. You put your career first and correct people to say 'if' you have kids instead of 'when'. You brought in that T-Rex like a boss without blinking. You're curvy. You're me. Well, a bit more muscly but you know, you could be me. Or I could be you. And that is just about the biggest confidence boost a girl geek like me, who KNOWS it's ridiculous to hold on to beauty standards like that, by the way, but could use all the help she can get on the road to self-love, could ever have gotten through the medium she adores the most. And for that I love you. But... I sort of love you less for not slapping your nephews' faces when they hit you with this just after you saved said boyfriend AND are about to save them. I mean, what? Sure kid, but guess who's an even bigger badass? There is no way of knowing for sure, but I can't help but imagine what an earlier Claire Dearing could have meant for the girl who once sat in between a bunch of 'pretty' and (some overly) confident people, feeling smaller and smaller before going in for an acting school audition and suffering the biggest brain freeze in the history of mankind. But, hey, you're here now. Please, stick around. And more ladies like this IN parts like this, please. PS: Love ya too, Bryce Dallas Howard.